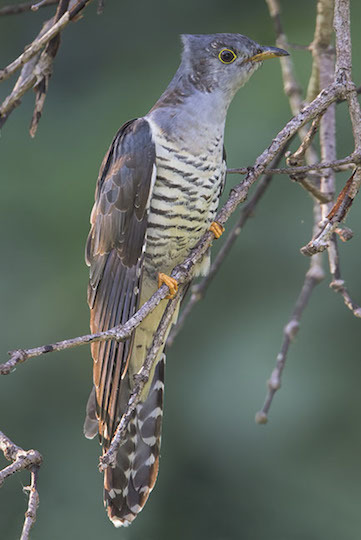 Australia has a lot of cuckoos; unlike North American cuckoos, all are brood parasites (they lay their eggs in the nests of other species). 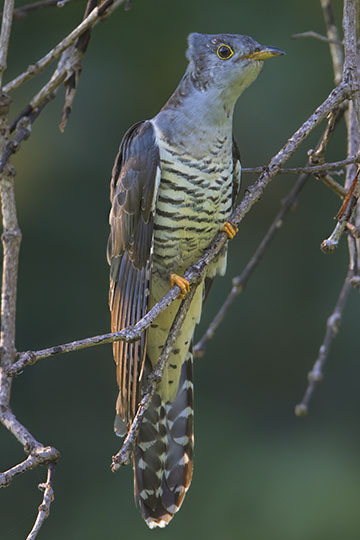 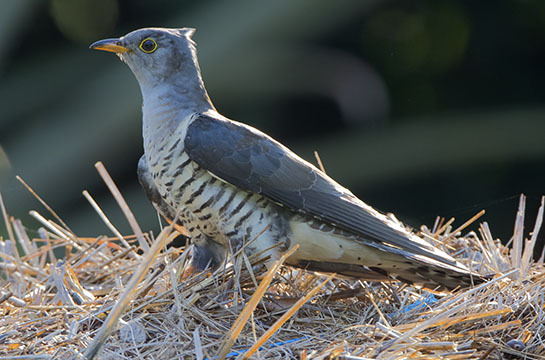 This is the oriental cuckoo, a Northern Hemisphere breeder that winters in Australia; this one was in Darwin in the Northern Territory. 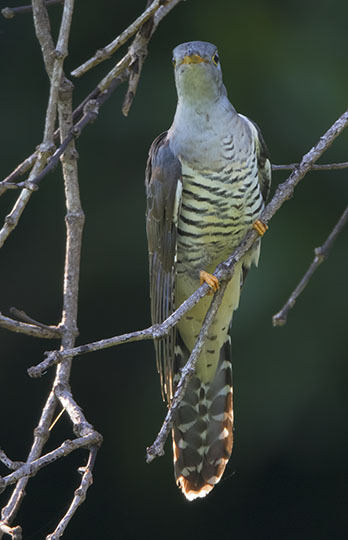 It hasn't yet quite molted into adult plumage.